I usually don't spring for fresh green beans when frozen will do just fine. Frozen are less than half the price and they actually have more nutrients than fresh green beans that have been sitting on the shelf a while. That said, I got the fresh ones this time. I wanted them to roast nicely without any sogginess. And roast nicely they did! These green beans were amazing! It cost me over five dollars just to make this side dish, but I don't even care. I will definitely be making these again. They were so good. Everyone liked them. If you have a picky eater in the house, try roasting some veggies. They aren't pretty, but if your picky eater can get past the look they will be pleasantly surprised. Recipe can be found on page 34: 100 Favorite Weight Watchers Recipes. Preheat oven to 400 degrees. 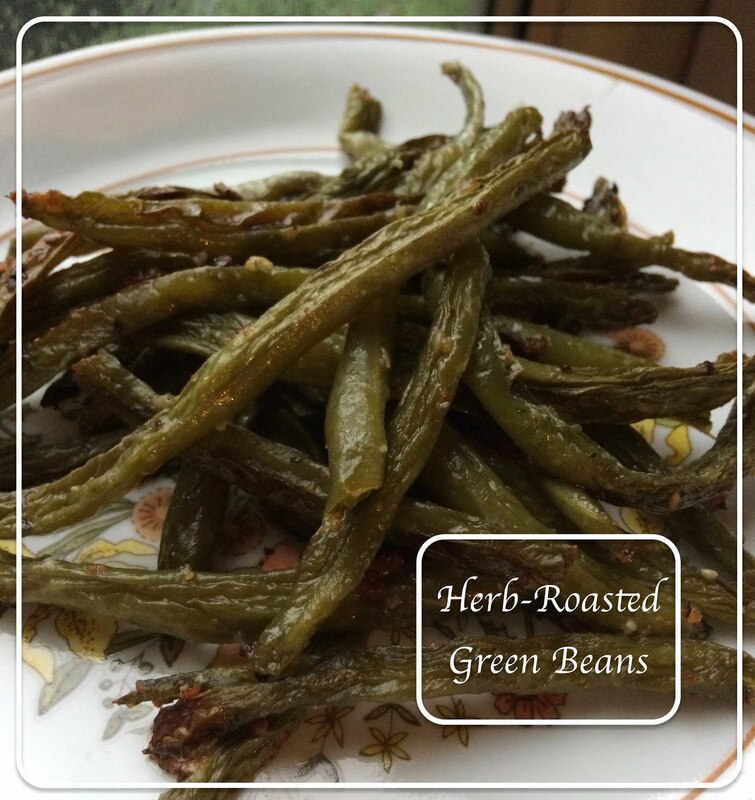 Snap ends off green beans and place in a large bowl. Sprinkle on olive oil, dressing mix and cheese. Bake for 45 minutes or until tender. *The original recipe said to blanch, but I intentionally did not. I know from experience that roasting vegetables cooks them up very nicely. The blanching seemed unnecessary. *to calculate points I removed green beans from the recipe calculator, as green beans are free on all three plans. All nutrition information is approximate and is calculated using caloriecount.com.